Many people observe Memorial Day by visiting cemeteries and memorials. A national moment of remembrance takes place at 3 pm local time. Another tradition is to fly the flag of the United States at half-staff from dawn until noon local time. Volunteers often place American flags on each grave site at national cemeteries. For many Americans, the central event is attending one of the thousands of parades held on Memorial Day in large and small cities all over the country. Most of these feature marching bands and an overall military theme with the National Guard and other servicemen participating along with veterans and military vehicles from various wars. One of the longest-standing traditions is the running of the Indianapolis 500, an auto race which has been held in conjunction with Memorial Day since 1911. It runs on the Sunday preceding the Memorial Day holiday. The Coca-Cola 600 stock car race has been held later the same day since 1961. The Memorial Tournament golf event has been held on or close to the Memorial Day weekend since 1976.Because Memorial Day is generally associated with the start of the summer season, it is common tradition to inaugurate the outdoor cooking season on Memorial Day with a barbecue. 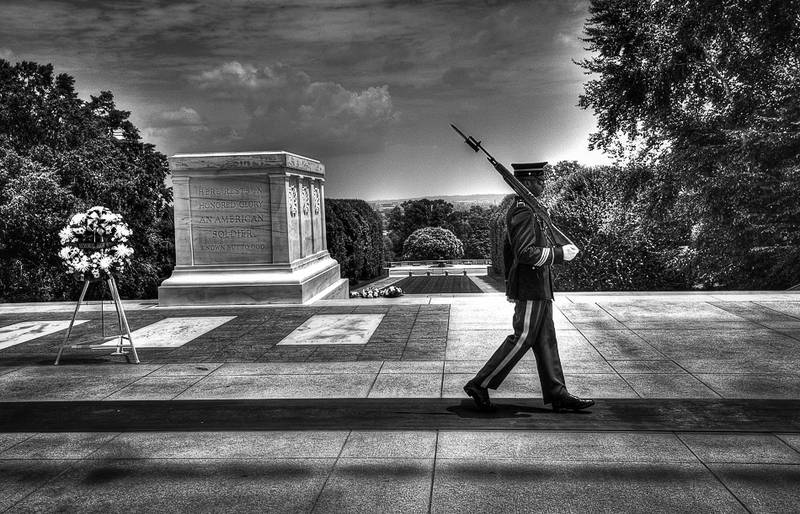 This image is from The Tomb of the Unknown Soldier, in Washington DC. The vigil is held 24 hours/day, 365 days/year…….. Lest we Forget. 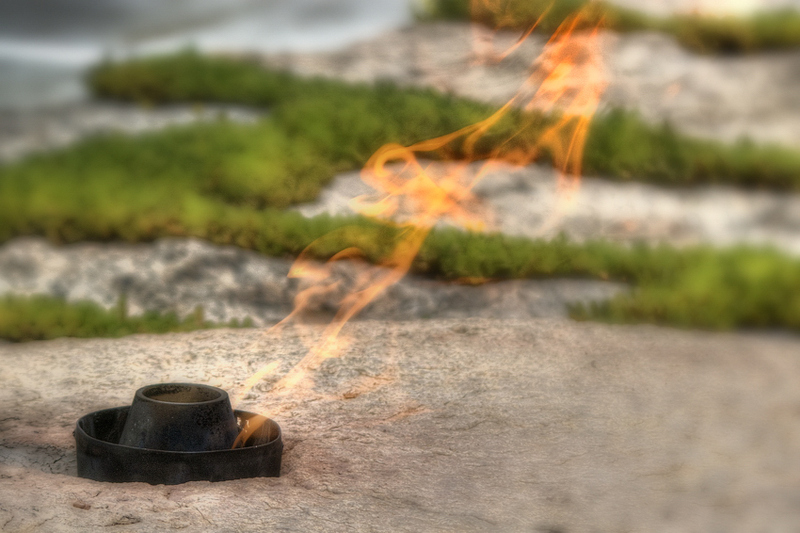 This was shot in Washington DC at the Tomb of the Unknowns in Arlington National cemetary in Washington DC.. This tomb is guarded 24 hours a day. It was uncanny how the guard made virtually no sound as he made his rounds. It seemed as if he were floating on air! 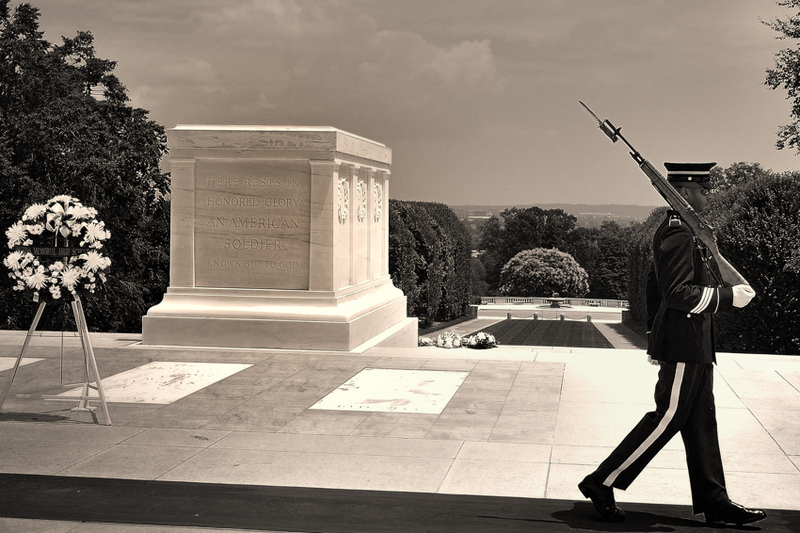 The Tomb of the Unknowns (also known as the Tomb of the Unknown Soldier, although it has never been officially named) is a monument dedicated to American service members who have died without their remains being identified. 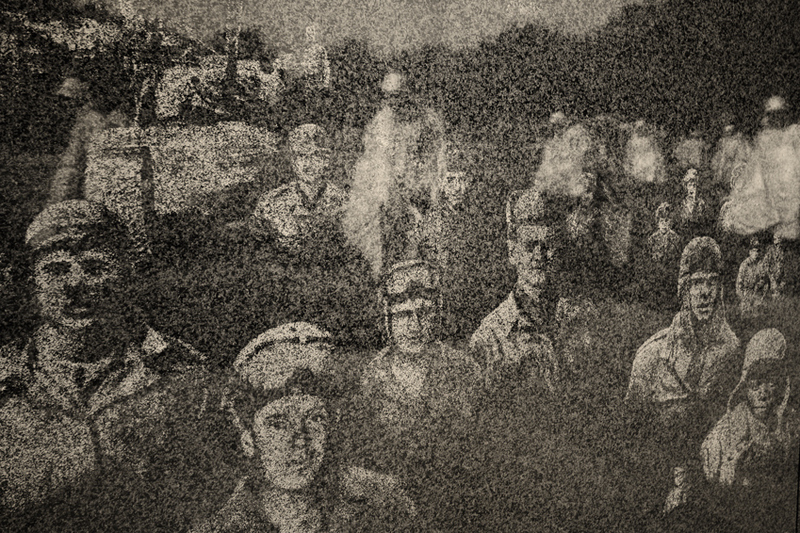 The World War I “Unknown” is a recipient of the Medal of Honor, the Victoria Cross, and several other foreign nations’ highest service awards. The U.S. Unknowns who were interred afterwards are also recipients of the Medal of Honor, presented by the U.S. presidents who presided over their funerals. This was shot in Washington DC – notice the reflections of the Korean War statues on the face of this granite monument, a tribute to all who have served, God Bless and Thank You! Memorial Day is observed on the last Monday of May (May 30 in 2011). Formerly known as Decoration Day, it commemorates U.S. soldiers who died while in the military service. First enacted by former enslaved Africans to honor Union soldiers of the American Civil War – it was extended after World War 1 to honor Americans who have died in all wars.